The Carnivore Diet: A Panacea for Autoimmune and Chronic Illness? Healing Gourmet > Healthy Articles > The Carnivore Diet: A Panacea for Autoimmune & Chronic Illness? The Carnivore Diet: A Panacea for Autoimmune & Chronic Illness? When it comes to modern day epidemics, “chronic diseases” like cancer, heart disease and diabetes take the spotlight – for good reason. These preventable illnesses are leading causes of death worldwide. A syndrome is defined as, “a group of symptoms that consistently occur together.” As the definition indicates, a syndrome is not a true diagnosis. In fact, it is actually an admission that doctors have no idea what is really wrong with you… so they create a label for a group of symptoms. Of course, hand in hand with the syndrome epidemic are autoimmune disorders. According to the National Institutes of Health, over 23 million people in the United States alone are diagnosed with autoimmune disease (while millions more suffer undiagnosed). What are the Symptoms of the “Syndrome Epidemic”? The constellation of symptoms we’re talking about include everything from chronic pain, fatigue and weakness… arthritis and painful, swollen joints… psoriasis, hives and rashes… migraines… chronic sinus problems… hair loss… cold intolerance… brain fog, anxiety and depression… and of course a range of painful and embarrassing digestive troubles. With such a wide range of ailments – and the fact that many people present all of these symptoms at once – it’s no surprise conventional medicine has few answers for this growing epidemic. Most doctors prescribe a basket of prescription drugs, each one aimed at suppressing a particular group of symptoms. This approach rarely works. And it often makes things worse, as a host of side effects blend in with the already debilitating symptoms. Some people find great benefit by switching to the meat-and-vegetables diet of our Paleolithic ancestors. This is especially true for those who were previously on a typical diet, including grains, sugar and a variety of processed foods. However, there are many people whose symptoms do not improve on a traditional Paleo Diet. But there is a very controversial diet that is growing more popular by the day. This diet has already helped thousands of people – and possibly soon millions – to put a lifetime of debilitating symptoms into remission (often in a matter of just two weeks). It has also helped many people to shed fat faster than any other way of eating. What if the Plants You’re Eating are Making You Sick? In fact, what if the plants we’re eating actually contribute to inflammation, digestive distress and hormonal dysfunction? What if these “plant foods” are the leading cause of leaky gut and a primary factor in the rise of autoimmune disease? The fact is that while our basic human biology is the same, at a biochemical level we are all unique. Each of us has key differences in our genetics, microbiome, hormonal and immune systems that impact how we react to food. This is why broad statements like “eat more plants” can be both dangerous and irresponsible. Of course, this doesn’t mean that vegetables are unhealthy. And it doesn’t mean you should necessarily avoid green drinks. But it does clearly illustrate that the reactions we have to food are different for everyone. Foods that are healthy for one person might be quite toxic to another. Is it possible that a meat-only diet could help reverse autoimmune disorders, quell inflammation, restore hormonal balance and alleviate suffering for millions of people? For a limited time, our friends at Thrive Market are offering 25% off your first Thrive Market Meat & Seafood Box! Learn more about Thrive Market and take advantage of big savings on your favorite healthy foods (now including pasture raised meats, free-range poultry and wild-caught seafood)! Today, we explore the makings of the carnivore (or zero-carb) diet… how plant foods can “bite us back”… and the stories of people who are finding extreme relief (and six-pack abs) by subsisting on meat alone. I have to admit that the concept of subsisting on meat alone is one that seriously challenged me. But I was also very sick during parts of my life (sometimes for years at a time). And it wasn’t meat that made me sick… it was plants! My journey to health began when I discovered 14 plant foods to which I had developed either an intolerance or full blown allergy. It was these “plant foods” that caused inflammation in my digestive tract. This led to a “leaky gut” – which allowed undigested food particles and other immune-stimulating compounds to enter my bloodstream. As a direct result, I later developed an autoimmune condition as well as an overgrowth of bacteria in my small intestine (SIBO). So, how did I find relief? I got better by following specific nutritional protocols and by removing quite a number of “plant foods” from my diet. I now believe I would have improved much faster if I had removed ALL plant foods from my diet (at least for a period of time). Plants Don’t Like to Be Eaten! One of the arguments for a vegan diet is that it’s cruel to eat animals. After all, every living creature strives for self-preservation. They argue the world would be a much better if we would just leave the animals alone. The truth is that nothing likes to be eaten… including plants! Animals have the ability to defend themselves from predation or make a speedy escape. Plants do not have the same abilities, but they do have protection mechanisms. At the slightest nip of a leaf, plants release chemicals that can irritate or poison predators – the plant’s version of an immune response. The problem is that plant defenses take affect after you have consumed them. And for many people the results of a plant-rich diet can be pain, inflammation and debilitating autoimmune diseases. Nightshades: The solanaceae family of flowering plants includes a number of species that are outright poisonous. But the nightshade family also includes tomatoes, potatoes, peppers, eggplant and goji berries, which are well known to promote inflammation and joint pain in some people. Phytic Acid: A natural substance found in plant seeds (including grains and legumes). This compound is known as an “anti-nutrient” for its ability to bind to minerals. Phytic acid impairs the absorption of iron, zinc, calcium and other minerals and can promote mineral deficiencies. Oxalates: Compounds found in dark leafy greens, such as spinach, kale and other “superfoods.” Most people can break down oxalates in the gut. For others, however, these compounds turn into sharp crystals and can lead to chronic pain, inflammation, oxidative stress, kidney stones and autoimmune disease. Lectins: These plant compounds can promote leaky gut, alter the microbiome, stimulate the immune system and trigger inflammation. The highest levels are found in whole grains, legumes and dairy. FODMAPs: Though not technically a defense mechanism of plants, these compounds are a collection of short-chain carbohydrates that are not properly absorbed in the gut. FODMAPs can cause severe digestive distress for some people. High-FODMAP foods include a wide range of fruits, vegetables, cereal grains, condiments, drinks and dairy foods. Saponins: Anti-feedant compounds that protect many plants from predation by insects, microbes and fungi. Saponins have soapy, foaming characteristics. They promote leaky gut and can cause bloating, gas, nausea and diarrhea. Legumes (soy, beans, peas and lentils) as well as quinoa are rich in saponins. Goitrogens: These compounds can reduce iodine uptake in the thyroid gland and slow the production of thyroid hormones. The result can be an enlarged thyroid (goiter) and a host of metabolic disturbances. The most common plant goitrogens are compounds known as glucosinolates, found in broccoli, cauliflower, Brussels sprouts, cabbage, kale, arugula, radishes, turnips, collard greens, bok choy and other similar vegetables. Phytoestrogens: These naturally-occurring plant chemicals have a molecular structure quite similar to estrogen. Used as a natural defense against herbivores, they can disrupt animal fertility. In humans, phytoestrogens can cause hormonal dysfunction and may promote cancer. These compounds are most common in soybeans, flax and sesame seeds. Prolamins & Glutelins – Consisting of a wide range of proteins, used by plants to store energy in seeds. This group of compounds are the primary environmental factors in causing Celiac disease. Found primarily in grains and rice. I would be the last person to say that there are no benefits to eating plant foods. But it is important to understand that there can be a dark side. Not all plant foods are right for all people all of the time. Dr. Ede cites the meat-only / carnivore / zero-carb diet as very useful for managing the many “mystery syndrome” symptoms that do not respond to traditional Paleo or “elimination” diets. This is a diet that eliminates many of the most common dietary triggers. The user consumes only the foods on the “allowed” list for a period of time – usually a month – and then reintroduces potential trigger foods one at a time adding a new food every few days. This last part is important, because many food reactions take three to or four days to manifest (this is known as delayed hypersensitivity). As each new food is reintroduced, the user records how they feel and any reactions they experience. This can be quite effective at determining which foods are best for YOUR body. While the most common trigger foods are usually eliminated, most “elimination” diets still include many foods which can cause problems for some people. This makes it difficult to truly isolate the foods that may cause you discomfort and contribute to poor health. The second challenge is why most people find elimination diets so difficult. They can’t make any of their usual recipes and don’t know what to make from the random assortment of “allowed” foods. But imagine how much simpler an “elimination diet” would be if you eliminated everything except fresh meat (not cured). With the exception of eggs, dairy, shellfish and sometimes fish… it is plants that cause problems for the vast majority of those with diet-related health issues. So, if you’re going to follow an elimination diet, it is easier (and more effective) to simply eliminate ALL plants, instead of picking and choosing. On a side note, you can turn even the healthiest foods into something decidedly unhealthy, depending on how it is prepared. For example, grilling and charring meat can cause cancer-causing compounds to form. So, while it can taste delicious we don’t generally recommend cooking meat this way. One of our favorite ways to cook meat is low and slow in the Instant Pot pressure cooker. The stories of those who have healed their bodies on a meat-only diet – often after enduring years of debilitating and mysterious illnesses – are numerous. In fact, most people who follow the Carnivore Diet are not just surviving, they seem to be thriving. And those who have sought objective lab data show biomarkers consistent with health and vitality. And there is no shortage of physique transformations either! Dr. Shawn Baker, MD is an orthopedic surgeon, a pure carnivore and a physical specimen at 51 years of age. He is one of the leading proponents of the meat-only diet and encourages people to experiment and share their stories on his website, Meat Heals. We’re also quite impressed by the experience of Mikhaila Peterson. In this post on her blog she describes her health history, which includes 20 years of intense suffering, which began when she was just a toddler. It was a strict elimination diet that finally helped her experience relief. But it wasn’t until she eliminated everything but meat that she truly felt well. If you’re considering this diet to see how it makes you feel, I encourage you to check out these the sites above, where you can find before-and-after pictures, comments and testimonials from people whose lives have been changed forever by the carnivore diet. The Zero-Carb Diet: What to Eat? I am not suggesting that you or your loved ones embark on a meat-only diet for the rest of your life. Humans have always been opportunistic feeders. I don’t think a mono-diet is optimal for most people. And I believe there can be great benefit from the cancer-fighting, antioxidant, anti-inflammatory compounds in many plants. So, what does a meat-based diet look like? While some people add minimal dairy products like butter or cheese, most people who embark on this radical way of eating to improve difficult health issues are purists. They limit their intake strictly to meat (with mineral-rich salt) and water alone… as well as coffee / tea if you don’t want to give those up. * Because egg whites and shellfish have allergenic potential, those with autoimmune issues, allergies and food intolerances often choose to avoid these foods on the meat-only diet. What’s more, many meat-only diet enthusiasts find they react to certain types of meat – like pork or certain fish – so it’s important to listen to your body and pay attention to your symptoms. Most people do best with beef and lamb. Do you have nagging health symptoms that haven’t resolved on a Paleo or keto diet? Would you be willing to give the carnivore diet a 30-day challenge? What do you think about the information in this article? We want to hear from you… please leave your comments below! P.S. We anticipate that those who object might say, “What about the myriad of micronutrients in plants that you would miss on a zero-carb diet?” Our response is that the most nutrient-dense food we can consume is meat. And there are organ meats, such as liver, which supply even greater concentrations of nutrients than muscle meats. And, again, we are not recommending this as a diet to follow for life (although some people do). As to the FDA’s Recommended Daily Intake (RDI) of certain nutrients, it also is important to remember that those guidelines are created for a population that consumes a high-carb, Standard American Diet – a diet which fundamentally converts your metabolism to that of a “sugar burner” and alters your nutritional requirements. There’s no fiber in this diet. How do you avoid constipation? Dr. Baker discusses this on his site. Since the body utilizes/absorbs everything in meat, there is very little waste. Due to this, excretion diminishes significantly (ie – one poops less often). Been doing zero carb with zero fiber for over 3 years. It has cured all my IBS problems that I previously used to have including constipation. The fiber is unnecessary, it just piles up and requires more fiber to push it through. Where do these people get their vitamin C and water soluble vitamins? I can’t account for all necessary minerals, but you get plenty of Vitamin C from lightly cooked organ meat. Kelly—I’ve been ZC since March 2018. I’m in my late 50’s and feel great. Knee pain gone and back to lifting weights and running several days a week. My son who is 33 was diagnosed with MS in May. He’s on conventional medicine and has tried several diets. His symptoms have gotten worse the last few weeks. I’m trying to encourage him to try ZC and eat mainly meat (fatty beef) for a few weeks and see if his symptoms improve. He’s so frustrated and looking for help that he’s willing to give it a try. I forwarded him your article above which sums up everything I’ve been trying to get him to do. Have you heard of other people help their MS symptoms going on a ZC diet and eating meat?? Thank you so much for your comment. And I’m so happy to hear that you have been doing so well on ZC! You are an inspiration! I am so sorry to learn of your son’s recent diagnosis. As you may know, autoimmune illness is considered a “three legged stool” – with genes, environment and gut permeability – being the three “legs”, or contributing factors. Of course, diet is included in “environment”, but so are other exposures like mercury or infections. Hope this helps and wishing you both well! I’m on my 95th day on the carnivore diet and I feel great. Everything that’s been said that supports this diet seems to be true. In fact, I don’t think I want to go off of this way of eating because I don’t want to go back to the old way. I poop once a day in the morning instead of the usual 2 to 3 messy times a day. I don’t want to spend that much time sitting on the toilet; I have better things to do. I’m very surprised that the carnivore diet works as well as it does. I’m starting to make my decisions based on what comes naturally, and that is usually the best choice. Mankind has only two types of food sources: plants and animals. After considering both, it just made good natural sense to go with the carnivore diet as that’s what is more available in nature. Until I see something to the contrary, I’m planning to stay on this diet for good. Another benefit is that I have lost most of my craving for sugar. Eating meat with fat prevents constipation. Treat constipation with fat, drink a tablespoon of MCT and wait a couple of hours. Theres been studies done with gastroenterologists who found that people who took fiber out actually helped their constipation and have better and more frequent bowel movements. Fiber is just another thing we’ve always been told we needed in our diet for healthy digestive but just isnt true. Here in England, I remember when the Atkins diet was all the rage “nutritional experts” and the medical profession cautioned against such a high protein diet as possibly leading to kidney problems, has that consensus changed? Unhealthy kidneys lose the ability to remove protein waste and it starts to build up in the blood. Maybe using actual peer reviewed sources and journals would be better. Here is an article explaining a study showing that, even in obese diabetic people, high protein diets do not adversely affect the kidneys. The link to the full study is included. “Peer-reviewed” articles in scientific journals are notorious for pushing the sponsors’ positions – instead of giving objective information that would be most helpful for readers to learn. The Chris Kresser article is full of well cited scientific journal articles. This is a lchf diet with medium protein. For every calorie there there 4 g of protein and 9 gr of fat. actually, the reason keto and carnivore are getting recognition is that the first wave of Atkins folks are going into the Medicare system and doctors are finding less heart disease, diabetes and other health issues in the low carb lifers. That’s a good question. Also, does cooking plants affect their toxicity. Absolutely cooking affects plant compounds. Certain cooking methods can increase compounds (ie – cooked tomatoes have more bioavailable lycopene than fresh tomatoes), while other methods can decrease compounds. I had cancer and was told to avoid meat as it was cancer-promoting. I don’t want it coming back, but I do have gut issues I need to solve. Any suggestions? Meat does not cause cancer. It’s the plants that ferment in the gut. Diagnosisdiet.com is an excellent site as well as borntoeatmeat.com. Have a look around> Our stomach acid is almost the same acidity as a dog/wolf, and they eat meat. Meat is food plants are medicine, only to be eaten in times of illness. Our stomach acid allows our enzymes breaks down proteins.. Plant material of all types, ferments. Our stomach acid is around 2 on the scale, vege animals is between 6 and 9. We’ve been eating meat for millions of years. Cancer is virtually non-existant in hunter gatherers. Most “scientific” studies are highly flawed and biased. Keeping your blood glucose low is a better safeguard against cancer, and a host of other dieases. The diet is an interesting idea, however many who tried it do have difficulty and have to stop. I notice the people that promote this diet don’t usually have any answers for those who struggle with it other than to say “it’s adaptation”. (However, it makes one wonder what there is to “adapt” to if this is the human’s natural diet…). There are concerns about increased methionine, increased homocysteine, and increased ammonia from metabolizing the meat. The vital nutrients to process these byproducts include Vitamin A and folate and are found in high amounts in liver, which the carnivore dieters usually don’t eat. There is also copper deficiency concern from the increased consumption of zinc and iron in the muscle meat when the diet excludes copper-containing organ meat. Would like to see RBC/tissue levels of certain nutrients in people who do the diet. One other thing; there are a similar number of stories of people who are healed from the same diseases on low fat diets that still include animal products (thinking of Roy Swank diet for MS) or even plant-based. Maybe it is just biochemical individuality? You make some interesting points. I do think organ meats are vital and would be an important inclusion. Do you have examples of what has happened when people “tried to stop” the carnivore diet? S…. Maybe diets are individual, but what this post is about is what happens to a lot of people eating an all meat diet. She is not trying to spread the GOSPEL of CANIVORY, as being the 1 and only true god, whoops, I mean way of eating, just if you have tried other ways(100% of people have), maybe, just maybe CARNIORY, may just be a god send to you. You tal;k about things that may happen if you eat just meat. every plant food has phytates, goiterens, lectins, just to name a few. These all inhibit the uptake of vitamins and minerals. If this has ruined the health of people you know, by all means let us know how dangerous this form of nutrition is, by telling us how the blood tests found it was this diet that caused it. I think the other poster mentioned that diets are very personal and you also alluded to this point in your last question. I really tried to do a vegan diet and there were some benefits (I felt full after eating) but I got terrible depression that wouldn’t go away. I asked on all the vegan boards and crickets. I was very very low in vitamin b-12 and had to go on monthly injections for a couple years. I tried the 30 day challenge and felt more sick with every day. I don’t know why, but there were a lot of vegetables. As well, I have a huge intolerance to wheat and milder intolerances to soy and dairy (and those are the ones I know about). But when I look at my genes I can see why vegetable primary diets fail. I have a number of the methylation SNPs. In fact I have a very long list of SNPs. When getting nutrients from plants your body must put together the building blocks and then you make the bio-available vitamin/mineral/whatever, but with meat it is ingested ready to go. Because I have so many methylation SNPs, I cannot efficiently put together the micronutrients or building blocks into what the body needs. So I was always deficient in lots of vitamins. And there are the allegies/intolerances. I think there must be vegetables that I am intolerant to, I am on the fifth day of an all meat diet and we shall see. Keep it up. I will never go back, although I won’t rule out throwing in some plants here and there to experiment. Diets are individual, but I don’t think they’re that individual. We didn’t grow these huge brains eating fruit and leaves. We used tools to scavenge the fat out of femurs and skulls. Veganism is death, and it doesn’t help the planet like people think either. u are probably unaware of the thousands and counting of people in the community. facebook world carnivore tribe, zerocarbzen.com meatheals.com the recovery vegan group or something , principia carnivora, zerocarb on reddit, and then some. not sure what idea of the human body u have, but adaptation takes time, gut flora needs to change. I think similar to any diet it’s not necessarily for everyone. We are all quite complex and as the Bible says, “fearfully and wonderfully made.” I see great benefits and have also had some friends do this but have made some changes either for the shear enjoyment of some other foods or because they felt or learned that they needed it. I have been zero carb or a carnivore for 1.5 years. I no longer have inflamatiom and pain from RA. I have also completely healed my hypothyroidism. I haven’t taken synthroid in many months. (doctor approved of course) I’ve lost 59 pounds and went down from a size 18 jeans to a 10. I eat bacon and eggs for breakfast, hamburger patties for lunch and steak for dinner most days. I have zero cravings, tons of energy and I feel better emotionally. So happy to hear you have found something that has worked for you! I’m curious if you have tracked specific health metrics. If so, would you share here? That’s awesome to hear. I am 1 week in of eating meat only and in just that short period of time have already found many benefits. My stomach doesn’t hurt at all anymore.. AT ALL. No more burning feet and legs when I try to go to sleep, no more sleepless nights, no more puffy face and hands and I have energy out the azzz… 😉 No more cravings for junk food, no more all day snacking. I feel so good, so very very good!!!!!!! Are you still on the diet and seeing positive results? Wow, I have Hashimoto, Pernicious anaemia and Raynaud’s, I have been taking, thyroid medicine for many years, B12 shots for over 30 years and my symptoms are getting worse, my Dr has no clue unfortunately, I have now developed heart issues in the form of Bradycardia, extra heart beats to compensate for my low pulse rate, low energy, dizzy, I have had enough! I am very inspired by the what you have said, been eating Keto for a couple of years but gaining weight again, so this has given me hope. Hi Angela, my MIL has Raynauds.. did you end up doing the Carnivore Diet? Has it helped? Humans are not Carnivores and without “plant” foods they can never get the essential vitamins and minerals for healthy living. It is like running a machine on petrol but not using any lubricants – in a very basic example. 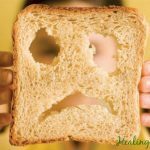 After “Better Breads” I find this article a big let down because all the negative aspects of the plant foods s are based on “may” or ” might” while playing down their real and definite nutritional values. Other point is that (unless killed for food) average life span of plant eating animals is far longer than life span of carnivores animals. The point is of this post is to be willing to ask important questions about our own health and the potential causes of our illness. Only then, can we find answers and truly be the authors of our own health. To this end, my questions and your questions will be different. And I believe that the right diet for YOU is the one that makes you feel better and helps you achieve optimum health. Can you please provide studies for your life span notations. Are you comparing plant-eating rabbits (lifespan 12 years) to humans … or plant-eating elephants (70 yrs) to humans? As for your analogy about running a machine on petrol without lubricants… I know this is novel (ahem! ), but what if a vehicle could run on electricity, and not need petrol? Edison said: “We don’t know one-millionth of one percent about anything”. If we take conventional “wisdom” as fact, how can we solve problems and grow? Again, I’m not trying to sell this diet to anyone – I’m opening the floor for (hopefully) intelligent discussion. Kelly Herring wins the internet with this comeback! Appreciate your kind comment, Andrew. After 20 years of researching diet and disease, I’m humbled… every single day. We’ve only just scratched the surface with respect to our biochemical individuality… nutrigenomics… the microbiome. It is my mission to help as many people as I can awaken to the potential causative (and healing) agents of disease so we can all live our very best life. O thank you for this! I wondered if I were going nuts (euhh….pun intended!) My body has always been happiest when I was eating tons of steak, and other pure proteins, good salt, and never very happy with alot of the plants people said were the best–beans, grains, to start etc. And the plant reactions don’t surprise me, as, as gently as I could, I often answered militant vegitarians simply with the fact that we are all people and that we have known for decades now that plants are indeed quite alive and responsive to their situations, why one gives thanks for lives given at all times, including when picking a flower..Just because we can’t hear them…doesn’t mean they aren’t speaking their own pain as well. And we’re all connnected in all things, of course. So you are the first person I have seen write about this, and I will be going into it more, thank you. As I am battling with a variety of symptoms, including a normally resilient and strong body that isn’t losing this odd extra fat from the cortisol, despite changing many things, including adding many more vegetables and fruits recently, into our diet. If one thinks of our ancestral bodies, it resonates entirely, especially in the cold climates..
You’re right – plants communicate too. And sometimes – for some people – that “communication” can means inflammation and pain. Best wishes on your healing journey and kudos to listening to your body’s innate wisdom over conventional advice! This is definitely fascinating. I am an omnivore. I eat animal products that are properly raised and I eat plant products. I’ve read that if you eat too much protein it converts to sugar in the system. This was one explanation for keeping protein moderate in most keto diets. How would this affect someone on a carnivore diet? Thank you Kelly. I will read the article – very helpful. That’s so interesting. I love meat! But many of the Brain experts are saying to be very minimal or not to eat it at all if your are carrying an apoE4 gene. My genetic type is a 3/4. Would you please weigh in on this. I am a big fan of your articles. Thank you for your kind comment and question. Genetics is very multidimensional and we’ve only just scratched the surface of the field. With that said, I am a big believer in using genetic information to gain a better understanding of predispositions and to help create the most health-promoting personalized diet. What you mention here is only one allele of thousands that can increase/decrease disease risk. The genome-wide association study (GWAS), has identified a number of genes in addition to APOE E4 that may increase a person’s risk for late-onset Alzheimer’s including BIN1, CLU, PICALM, and CR1. In addition to your genetics, your personal microbiome and how it impacts your metabolism, your alcohol intake, nutrients status (and related gene requirements), the type and amount of exercise in which you engage – and much more – must also be taken into account. It is a BIG picture. And it’s the combination of genetics and environmental factors (diet, exercise, lifestyle) that ultimately prevent or promote disease. For example, some people with two copies of the APOE4 allele never get Alzheimer’s… while people without these “risky” alleles do. APOE plays a role in lipid (fat) metabolism, and removing cholesterol from the blood. For those with this genotype, the body has a harder time clearing cholesterol which may build up in arteries and (in theory) increase heart disease and Alzheimer’s risk. For this reason, reducing dietary fat has been suggested (by some). While dozens of studies have confirmed that the APOE E4 allele increases the risk of developing Alzheimer’s – researchers don’t understand the mechanism behind it. I have so many questions not sure where to begin. Maybe could start with “What the Health” documentary I have watched many times and read up on studies they presented. Then Forks Over Knives? The studies presented there very compelling. What is your research findings that dispell the truth of these? And read summary of the China Study. Meatyourfuture.com Are we omnivores, herbivores or carnivores? Looks like we are herbivores!? We do not make Vitamin C. Carn ivores do. How can we be strictly carnivores? I have witnessed many unhappy followers of Atkins Diet that cannot do longterm. All that cholesterol and inflammation damaging kidneys and heart. Short term weight loss but completely constipated and fatigued. Our intestines are very long like other herbivores. Carnivores are short gutted and have higher acidity to break down meat. Our teeth are not designed for tearing meat. They are molars for breaking down plants. Meat putrifies in the long journey of human gut. Carnivores seems leftwing as plant-based seems rightwing. I have since found Dr Fuhrmans Pyramid that seems more approachable to our biological make-up. It does seem we cant eat healthy and noone in the know makes it any clearer. Round-up taints our soil killing our gut flora and dioxins spoil the grass that feed the grass-fed animals. We all want an answer to eating right and feeling healthy like back in the 60s and the absolute contradiction by experts on that makes it feel hopeless. – Hominidae (including humans and chimps) are omnivores… not herbivores. – “Our teeth are not designed for tearing meat” – What about our incisors? – “All that cholesterol and inflammation damaging kidneys and heart” – inflammation from? Throwing our hands up because there is too much contradictory information is not the solution. The solution is to find what works best for your body. This will start with a Paleo template – an ancestral diet to which our genetics are adapted – without grains, legumes, dairy or fake foods – and be tailored from there (ie – lower carb ancestral diet, low FODMAP ancestral diet, nightshade-free ancestral diet, etc). Kendra, Our stomach acid is 2 on the acid alkaline table, about the same as a dog/wolf, enzymes interact with the acidity of our stomach to break down meat. Plant matter breaks down through fermentation. Meat, eggs and meat by products are very high in vitamins and minerals. go here. So, are herbs allowed? Those sure can make a good cut of meat taste even better. No, I’m afraid herbs and spices are not allowed. No, I’m afraid you are off on this point Kelly. Who told you that herbs and spices “are not allowed”? Allowed by whom? There is no Carnivory Police telling me I can’t put some basil in my pot roast. I see you have “dr” in your email address, so I’m guessing you may have some scientific background. If so, then you may be aware of phytonutrients and antinutrients in plant foods. The purpose of keeping Carnivory to meat only is to eliminate the other variables. People absolutely react to spices – especially those of the nightshade family or seed-based spices. Herbs might be less problematic. It is all bio individual. If you read my article, then you’d know what I’m advocating is what works for the individual. My response to the question as to whether herbs and spices are allowed is simply based off of the core Carnivore diet of Dr. Shawn Baker. If you truly want to try carnivore, I believe this is the only intelligent way to begin. Then, scientifically, one by one, introduce a single herb or a spice and journal any reactions for a few days. Then move on to the next herb or spice to challenge. If one is using Carnivory as a therapeutic tool, and as the “Ultimate Elimination Diet”, I believe in approaching it in this manner is imperative. And by the way, rudeness doesn’t make your point any more clear or your voice any more heard. Being defensive means that beliefs are so tightly held that alternate viewpoints cannot be considered. That mindset stifles growth and limits possibilities. And that’s not what we’re going for here. Ok, if pointing out a point on which you are mistaken makes me “rude”, so be it. That wasn’t my intention. First of all, Shawn Baker is the most vocal and visible carnivore on the net right now but there have been people doing this quietly for decades. So, Shawn Baker is not the be all and end all authority on carnivory. If you want to know about “pioneering” work in carnivory, look up Owlsley “The Bear” Stanley. In his “Carnivore Challenge”, Shawn made the rules as simple as possible to follow so there would be no confusion. It was also meant to be an “elimination diet” to help people figure out where their potential food sensitivities were lurking, (e.g. someone with a nightshade issue should stay away from the cayenne). You stated it though as fact that carnivores don’t use spices, ever. Once past the elimination phase, spices are fine and even Shawn uses them. Unless you have a particular sensitivity, there is not enough there there to be an issue in terms of carbs or anti-nutrients. Those were the rules for the challenge, not forever. You conflated the two and mis-spoke. Understandable and not a problem. I pointed it out so others wouldn’t get the wrong info. It’s not a personal attack if someone points out where you are wrong. It’s a learning opportunity. I’m not defensive but I am a little tired of people on the net talking *about* the carnivorous diet with no fist hand experience doing it and minimal research. One blogger was stating as a “fact” yesterday that carnivores never eat seafood or eggs or dairy. Just not true. These are individual choices. I am not “trying” being carnivore. I am carnivore and have been since before Shawn Baker came along. If you would like a more nuanced view of this eating style from someone who is not an iron pumper, please look up the website of Amber O’Hearn, Empirica. She has been eating this way for over a decade. BTW, I enjoy your articles in the US Wellness Meats newsletter. Dr. Baker is a relative newbie to a Zero Carb (meat only) diet. There are many veterans of ZC sho have been eating meat only for 5, 10, even 15+ years. The general concensus among them is that dried herbs and spices are fine as seasoning if a person con tolerate them. Each person must determine for themselves if spices cause problems within the framework of a meat only diet. Many also find that they used a lot of spices and herbs in the beginning but then their tastes changed and they hardly use them anymore. The general concensus is that it is better to add some seasoning to keep you eating the meat your body needs than it is to go back to eating plants as food. Plants are generally accepted as seasoning and medicine only. More info about the ZC diet can be found in the two main groups in Facebook which have these long term vets as members and admins. Zero Carb Health and Zeroing In On Health. There are other groups as well but they do not have the long term vets like the two I mentioned and they tend to veer off into tweaks and hacks to speed up weight loss at the expense of health. I personally have been ZC for 3+ years. I have never felt better and my lifetime digestion and constipation problems are completely GONE. I am willing to try the Carnivore diet. I have been a type 2 Diabetic(Father and Great Grandmother had it as well) for 14 years. I tried Metformin for 4 months and that did not go well at all. Couldn’t leave the house until noon, due to diarrhea. I have been somewhat controlling it with a strict low carb diet, however it seems to not be working as well now that I am well past menopause. I was considering a vegetarian diet however i am noticing a lot of stomach cramps when I drink my berry and spinach smoothies in the morning and after lunching on fresh salads that include nightshades. I have been gaining weight lately which i can not afford, as the diabetes was causing weight gain to begin with. I am on board with this and will document my journey. Thanks so much for taking the time to comment. Your resolve and courage is inspiring – we look forward to hearing from you on your carnivore journey! Also, we would like to help you on your way with a little gift of pasture-raised and grass-fed meats from our friends over at US Wellness Meats. I will be sending you a personal follow up email. Down 17 lbs. and blood sugar is down as well, only 3 points on the Metic scale, but it is a good start! Down 20 lbs, blood sugars are approaching normal levels. No problems, except I am full of energy, something I have been lacking for quite sometime. Sleeping much better. Woot, woot!! Go Sherie! Go Sherie! I’m still supplementing sodium (Himalayan pink) and taking all meds (synthroid, metformin, Wellbutrin and quercitin (bioflavonoid that acts as an antihistamine against the mastocytosis). Eventually I hope to get off some if not all of the meds. I like your personal approach and really enjoyed hearing your thoughts on the use of herbs and spices in the Carnivore Diet. We’d love to get updates on your journey, if you get a chance! I am researching a diet change to improve overall health and am very interested in giving this a try! I have Crohn’s disease and am over 100 pounds overweight. I am in my early 40’s and have zero energy or motivation. I have tried increasing vegetables and decreasing meat with no improvement in digestive symptoms, if anything it’s worse. I have read many articles and studies and I appreciate how well-written and straightforward this is, well done! Wow- thank you for this article. No one has ever understood when I’ve said that I feel best when I eat only meat. I’ve had digestive issues since I was a kid and I now have an autoimmune condition that makes my body highly reactive. I really appreciate your thoughtful presentation of this as a viable alternative, as well as the research and links you’ve provided. Your willingness to share a different perspective without judgment or noise is so appreciated. Thank you so much. I look forward to checking out more here on your website. ditto Lisa…Noone got it, but I’ve gotten used to thinking myself normal and noticing that noone else agrees, why???!!! Anyway, there is no contect on the meat eating–the question here is getting truly healthy meats, and that is well nigh impossible at this point in ‘murrica, from what I can see. The grains are contaminated with the GMOs, what’s in the water is hair-raising..why did they hand their country over to the obviously abusive bunch of people that started coming back in 1980? Didi they not get it that you pay for allowing abuse in one’s life?? Bon, another discussion , in a way..in a way not. Time for health, in any case. Go for it! You might really enjoy the blog of Mikhaila Peterson called “Don’t Eat That”. She is a young woman who has had a lifetime of debilitating auto-immune conditions with a major depressive disorder piled on top. Carnivory has completely cured her of both. She is now a happy healthy new mom. And her brilliant psychologist father, Dr. Jordan Peterson, is also having great success with carnivory. He discusses it in detail in a recent Joe Rogan podcast. I have been carnivore for 10 days now. I started to help alleviate joint pain, terrible cramps and hopefully help with depression as well as severe carb (sugar) addiction. I’ve been doing well, though do allow myself cheese in moderation and heavy cream in tea in the morning. However the other day there was an incidental finding on a recent ultrasound I had done which was consistent with Medullary Sponge Kidney (a congenital kidney disorder). I have a lot of stones at any given time and seem to be a kidney stone making pro. This gives me great concerns due to the high protein content of carnivorous eating. I have not talked to my doctor about this, as this way of eating is so new and still very frowned upon. I have read that if your kidneys are healthy then you do not have to worry about the carnivore diet being too high protein – however my kidneys (while functioning) are not normal. I want to continue, but I guess I will have to do so with caution, which is so disappointing because I am perfectly happy with this way of eating – not to mention I am down 8 pounds and am a little less achy. Thanks so much for the great article though – all the best! Hi Rachel, I was wondering how Carnivore has been doing for you with your kidneys? I have a friend with kidney stone issues and he was thinking about the carnivore diet. I LOVE this thread and article!!! I am an avid Bulletproof follower and totally agree with going more primal….I don’t measure ketones, but am sure I am in ketosis. I find that the keto / paleo diets recommend a lot of vegetables, but like many of your other readers, just crave MEAT! I used to crave bread and pasta before I eliminated them from my diet, and really RED MEAT is the thing that I look forward to. I am VERY petite, 44 years old and have osteoporosis. I have been cooking my vegetables for a couple years now – after reading about bone eroding effects of raw veggies…I have a good idea of what veggies I do well with, but still – at every meal, the meat is the largest portion on my plate, followed by fats then veggies. The more I read about this topic and research the issue online, the more I’m inclined to believe that this may be really, the natural way we humans were meant to eat. I’ve worked my way into OMAD in order to lose weight and regain a more healthy body. I started the first of April, 2018 on OMAD at a starting weight of 265 lbs and I’m determined to get back down to my most healthiest weight of 165 or 170. I’m a 70 year old male and I’ve been having health issues such as Asthma, Arthritis, Eczema, and now recovering from a Staph infection from Cellulitus and have developed on and off Gout symptoms. I’m sure all of these things have to do with the diet I eat….Meat, Fat, Legumes, and other Carbs in bread and pasta. OMAD has provided me a weight loss of 15 lbs for the first month of going on OMAD, now I’m going to try “Carnivore” for a month to see if my maladies subside or go away completely. I’m currently living in Thailand and beef is incredibly expensive here, but things like eggs and pork are much cheaper to buy, because that’s what Thai people use most, as they can’t as a whole, afford beef products. Most beef is shipped to Thailand from Australia and is expensive. I’m working on coming back to live in the USA sometime this year, which will make my food expense go way down in this area. I’ll keep you all posted as to my progress as I start this diet 01/05/2018. Was curious can you drink tea? Mainly Chinese teas and green tea? This was just confirmation for me after hearing about the Peterson’s miraculous changes. Thank for your question and taking the time to comment here at Healing Gourmet. We appreciate it! To that end, I believe that the carnivore diet can be used as a tool and a starting point to begin unravelling one’s own dietary dilemmas. But to do this correctly, it is imperative to introduce back one thing at a time and challenge that food only. By isolating the variables, we get a better idea of what is innocuous (to the individual)… and to what we are actually reacting. Green tea contains a number of phytonutrients with impressive biochemical properties (tannins, EGCG, etc). It also is a sponge for fluoride – a halogen with some pretty nasty systemic and endocrine effects. Like many foods, it is a double-edge sword. To conduct the best n=1 experiments we can to truly get to the root of our own issues, we must isolate the variables. I might suggest trying grass-fed/pastured meats/salt/water only for a week (grass-finished reduces the risk of lectins that may be present in grain-fed meats from soy/grains). Then try a cup of green tea and see how you feel. Hope this helps and would love to hear back from you on your journey. A lot of carnivores still drink coffee and/or tea. Personally, I don’t use caffeine so I like herbal teas. The point is not carnivorous purity. Animal protein is the food, plants are fine as spices, flavorings, and non-caloric beverages. I agree I’ve been drinking Chinese and Japanese teas daily now along with the carnivore diet. Many of the teas have compounds that lower your cholesterol along with other health benefits. I was a huge coffee drinker for years but would drown it in cream and sugar! With the teas I still get my caffeine and it tastes better than black coffee. It was a way for me to get rid of the sugar but keep the caffeine. hi, you are a delight. especially how you handle questions – seems effortlessly. dry fasting (together with heat and cold therapy , and exercise seem to accelerate ketosis and boost hgh. anyway, my point is with water and frequency. i think frequency is essential, we eat too much, we eat too often to allow the body to fully be efficient. its abnormal to eat daily imo, let alone multiple times a day. as for water same thing. i think we drink too much, probably because our body is used to flushing its minerals? not sure, i have adapted to a low water diet, maybe drink 2-3 liters / week. and lastly, fruit. especialyl while fasting , i feel a huge desire to eat some fruit. thirst is not that prevalent, but my smell sense is augmented and fruit is what attracts me most. bottom line right now is im trying to combine these 3 . i never met someone to do this combination dry fast , fruit , carnivore. but lets see how it goes. also, i have the bad habit of wanting to finish whats on my plate, which i think is detrimental. if you have any input on any of my points, id appreaciate it. Hello Keen4, The only thing that I see, is the decreased water intake. I would say that that needs to be held at a higher rate. As you ware speaking about our ancestral situation, water would have been the one element that was frequently ingested, more than any other likely.. I am an ex dancer, and been a professional singer for many years, also a competition sabre fencer athlete, so acutely tuned to my body and it’s yes! or no!!! . The water intake is essential. Truly, I’d advise ont to skimp on it, as the results will come later, kidney difficulties, etc. See what this excellent ( I agree with you on that wholeheartedly) KH has to say from her research as well, of course.. Exactly. Personally I do better without pork, chicken, or dairy. But I do eat seafood and eggs. I have no problem with herbal tea but I find coffee and chocolate no longer agree with me. These micro-variations are personal choices. There are no hard and fast rules. And then there is the debate over things that are neither animal nor plant (technically speaking) such as mushrooms (fungi) and seaweed (algae). Some carnivores include these and some don’t. Nobody is going to revoke your Carnivore Card if you put a mushroom sauce on your ribeye. Carnivore: an animal that feeds on flesh. Omnivore: an animal or person that eats food of both plant and animal origin. The intent of this post is not to see who can carry a “Carnivore Card” or achieve carnivorous “purity”, but to find which way of eating produces the most beneficial effects on the body for the individual, and to approach that in a scientific manner. Kelley you are truly a delight, in your writing, handling of all our comments. Ever think of becoming president of the us?? Seriously, thank you again for your posting here, it has been such a help to have a place to follow this. Again, it was hard to explain to people that eating steak was basically what my body always wanted (healthy steak, that is..easy in Italia or France..) and that the vegetatian diet I tried for two years left me run down and without the energy to sing the intense repertoire which is mine, and for which I am physically on the small side as well.. I had a similar experience with the vegetarian diet. And I am so happy to hear that you listened to your body and have been feeling well on the Carnivore Diet. For many people, it is becoming apparent that it is a simple solution for many complex health problems. Wishing you the very best of health (and belting out your repertoire with full energy!). Kelly, I wasn’t saying that you were going around revoking “carnivore cards”, although some net pundits do, just pointing out the absurdity of hair splitting on things like this. Technically a mushroom is not a plant so…. To me what matters is the term “feed”. This is where you derive your nutrition. I think Phil Escott said it best when he said that, on a carnivorous diet , “Meat is the food, plants are the medicines”. You are right, a mushroom isn’t a plant. It is a fabulous fungus, which also is… not a meat. Whether a substance – plant or otherwise – is a “medicine” depends entirely on one’s own biochemical individuality. Personally I find I get SERIOUS reflux when my diet gets quite meat-heavy and I just feel gross when I eat really fatty cuts. This possibly is to do with the combinations of plant foods alongside them though, I will concede. Still, not sure I can last a whole week or more without hommus!! scurvy is a carb eater condition. of course there are many variables, from meat quality, type, sunlight, stress, personal defficiencies . Can an all meat diet stop my body from being insulin resistant? I have high blood pressure, high cholesterol and triglycerides. I take Lisinopril, Metformin and allergic to cholesterol meds, that I do not take. I prefer not to take any prescriptions. Thank you for your question. I’m happy that you are seeking natural ways to improve your health. Several dietary changes can help reverse insulin resistance and diabetes. Low carb and ketogenic (a very low carb, high fat, moderate protein diet) are two with which many people have success. Because the carnivore diet also eliminates carbohydrates, most people would see similar metabolic results. I am a keto blogger and pretty close to carnivore. I will give it a go in a couple of weeks, after all the food is gone in the house. Will be very interested to see if there are any changes in my body and mind over the time. Coming from a history of losing 100 lbs and improving my health with Atkins low carb dieting, and then moving to ketogenic for greater improvements, I have now switched to carnivore. This is Day 26. The improvement over keto, for me, is already quite apparent, and I’m noticing new joys every day. It’s like the next step for me, the “sweet spot,” and I am LOVING it. I don’t plan on going back to keto. All cravings for sweet tastes (chocolate fat bombs and ketogenic desserts) and bread-like items (keto bread) immediately left me. My hunger is so minimal and manageable, I am in heaven. I can’t believe how simple, non-compulsive, calming, and satisfying this way of eating is for me. I feel very blessed and grateful, indeed, for having found and tried this way of eating. My only plant-based food is coffee, which I see no reason to discontinue at this point. I discontinued most dairy (except butter and ghee), and I usually don’t even want eggs. Just meat and fat. My mental and emotional state is balanced, moods are happy and peaceful, and mind is clear and sharp. I sleep like a baby. I notice improvements every day. Like, being outdoors and not having flying insects landing on me or biting me, even if I am perspiring. That’s a first for me at this time of year. Yes it is blissfully uncomplicated, isn’t it? Makes shopping a whole lot simpler too. I’m 10 days in on the carnivore diet. It has made my joint inflammation from RA pretty much go away. I do have some concerns though. I am MTHFR c677t so keeping folate up and homocysteine down is on my mind. The other main concern is prior to going on this diet my kidney numbers were already off for some reason. I had elevated BUN (27) and slightly lower than normal GFR (80) Do you think I should be concerned about the high protein consumption with these issues? I read this article adn have been doing some research. I am 26 years old and very sick. IBS, fibromyalgia, another autoimmune yet to be diagnosed, depression, anxiety, issues with painful urination, and both feet joints are messed up. I have tried the diet for 24 hours and I notice NO stomach pain! Its insane. I am going to continue for a month and see what happens. Hoping to have improvement in chronic inflammation. I’ve had a lot of the same syptoms for years now. Are you still seeing positive results? Hey. I started on a keto diet and I lost about 14lbs before it just stopped working. For me the primary goal is losing weight. Alcohol is the hardest thing for me as I love a drink but I am capable of doing the diet and then having a couple weeks off on holidays and things where I will drink then. On this diet I am thinking bacon and eggs for breakfast, fatty mince beef burger pates for lunch and then a bit of liver and a steak or pork steaks (as steak is expensive) for dinner. Ill also look for the fattiest cuts. Do i continue to take the supplements? Couple of different factors here. Grass fed meat is just as good at getting you your Omega 3 fatty acids as fish but the problem is that most people eat grain fed which is very high in Omega 6. Also most people use industrial seed oils (canola, corn, etc.) which are also very high in O6. Grass fed animal fats, olive oil, and avocado oil are good O3 alternatives. Once you get yourself back to healthy, then I would say that supplements are no longer necessary. I have no way of knowing how far you are from “healthy” though. I have found that alcohol, even infrequently in small amounts is not my friend. Incorrect. Olive oil and avocado oil are NOT good omega 3 sources. In fact, less than 1% of olive oil is the plant-based form of omega-3 – alpha linolenic acid (ALA). Further, the human body is very inefficient at converting plant-based omega-3s to EPA to be utilized. In fact, only 8% of ALA is converted to EPA in men (with 0-4% converting to DHA) and 21% of ALA is converted to EPA in women (with 9% converting to DHA). I didn’t mean to imply that olive and avocado oils were awesome, just way better than industrial seed oils. They don’t have super high O3 but at least they don’t have the inflammatory O6s. You are very right that the human body does not convert plant based O3s very well. That’s why I cook with grass fed animal fats. US Wellness meats has a nice selection of them including tallow, lard, and duck fat. Boy, you really are petty aren’t you Kelly? You make a point of correcting me but then edit out my response *agreeing with you* about O3 conversion in humans and clarifying that I didn’t mean those oils are perfect, just better alternatives to industrial seed oils. What, you can’t stand it when someone else actually knows their stuff too? Sheeesh! My bad, now it’s posted. Friends? My assistant manually allows comments through to prevent spam and trolls. I reply to comments as I am able and as I see fit. Most people with blogs who aim to create a space for valuable discussion do this. But olive oil and avocado oil are absolutely not “good O3 alternatives” – not by a longshot, not even in the ballpark. It is important for my readers to know the facts. In light of our mission to create a space for collaborative discussion around nutrition, we reserve the right to prevent trolling, spam, misinformation or otherwise negative banter here at Healing Gourmet. I so appreciate how you choose to show up here, Kelley. Thank you! Thank you, Lisa! I appreciate that and your positivity. Happy to have you here! Hello Kelly- For the past year I’ve been diagnosed with chrones due to hospitalation with severe skin eruptions, gave me high dose steroids, rash persisted, diagnosed with vasculitis (surface skin only) gave me more high dose steroids. Rash(blood vessel breakage) came from nowhere. Drs put me on immune surppresant drugs. Did an all plant diet….felt great for awhile and then felt even worse. Broke 3 vertibrea in my back doing normal lifting (concrete..only 47 yrs.) Back to hospital for surgery for some glue Did a scan and found I have the bone density of an 85+ year old.. I sit with 2 broken ribs and a hairline in right scapula at this time. Dr wants me to give shot everyday for 2 years with bone cancer side effects…not. That’s the jest of it.I’ve exhausted all. My friend in Chicago (im in Florida)) told me about Rogan and I found you. I’m doing this diet along with my wife who I’m lucky takes the tunnel with me. I go 2 hours for care to Tampa and they don’t know what is wrong and throw meds at me….next is Mayo in Jacksonville? I will do this. Been sick and out of balance for years.. Give myself 6 months for improvement I hope. Thank you so much for your comment. And I’m sorry to hear what you’ve been going through. I think a good functional medicine practitioner could be of real value to you. Have you looked into functional medicine? Steroids and immune-suppressing drugs can have some nasty side effects and only really mask symptoms… don’t address underlying ROOT cause. Symptoms are our body saying “I need help”, and when we suppress that cry for help, we can worsen our issues. From doing Keto, Ive been on the Carnivore diet for a week now, strictly adhering to it. My breathe is a little ammonia smelling at the moment…..Is this normal? I have been on the carnivore diet for 3 weeks after trying every elimination diet known to man (all including a long list of veggies and grains I could NOT eat – it was confusing to say the least)! After researching my recent symptoms and visiting the doc (still waiting on lab results to confirm my suspicions) I believe that I have an ulcer. Based on all of my reading the carnivore diet (high fat, high protein and full of red meat) is about the worst thing you could do for an ulcer. Any ideas, thoughts or suggestions on this? I LOVE this diet and don’t want to quit so soon into it but I am afraid I may be aggravating my ulcer even further! I am living proof that this type of diet works. Years ago when the ‘experts’ decided that fat should be banned, like most people I began to eat more grains and vegetables. I was never very well even well before that, but I got sicker and sicker. I developed Crohns disease. Went through hell with it. Many operations etc. Then it was discovered I was allergic to all the grains! Yes, wheat, corn, barley, rice, the lot! Vegetables other than grains are fine, but can’t have too many in the nightshade family. So, went back to eating plenty of meat, eggs, dairy and those veges I can eat, plus most nuts and seeds and some fruits. My Crohns has been in remission for 5 years and I feel better now in my 60s than I did in my 20s. I do not eat processed foods. There are whole aisles in the supermarket I don’t need to visit. I am considering the carnivore diet. My concern is bone health, as I have been diagnosed with osteoporosis. My understanding is the blood PH needs to stay around 7.4. How can I keep my blood levels at that number with all the meat? Sorry for my ignorance on the subject. I would love to hear from someone who has gained bone density on this diet, or at least not lost bone! Thanks. Hi everyone! We are going to do it! My 65 year old husband and I (I’m 62) are going to start the carnivore way of eating in a few days on the third of October 2018 (due to money). We have been immersing ourselves in reading, youtube videos, blogs, different websites etc and are very excited to start! Reading all the comments/Q &A on this website has been very helpful. We started a journal to write down all our crappy symptoms/illnesses and are very hopeful. My husband got on board soon after I saw the Mikhaila Peterson video and shared it with him. He has suffered with severe depression and anxiety all his life and along with weight issues for us both and a myriad of other health issues we are ready and have been preparing for this (hopefully) wonderful change. Please wish us luck and we’ll keep updating how we do. Hi Kelley- Most excellent material you have provided! I am very early into a ZC diet after stumbling into carnivore diet info a few weeks back. I’m a 58 yr old healthy male who has battled IBS-D for a long time but never knew why or even what it was. Meals away from home became very worrisome for obvious reasons. Complete confusion regarding what to eat, when and where. However, things are looking up! Today I have been on ZC diet since Jan 3 2019 and have not had a single IBS moment. Very low gas and zero discomfort inside my gut with only a single poop per day or less. I still enjoy my evening red wine and morning black coffee. My diet is heavy eggs, bacon, steak, pork, cheese, butter, fish and shrimp. NO carbs NO plants! My energy level is as strong as it ever was if not better. Not to mention my confidence is high that I can now enjoy meals out in public w/o having to plan my emergency escape route!! I would have never believed the results without experiencing this for myself! Almost too good to be true! Fantastic! Thanks for sharing your experience. I’m so glad you are feeling better and found a way to heal yourself with diet. We’d love to hear back from you with updates, if you are so inclined. Hi everyone, this is a fantastic thread, thanks so much for providing the information and all the comments and updates from everyone. I am 8 days into carnivore but have not lost weight, in fact I’ve stayed right where I was, which is annoying to me. I am 51, active, but I have celiac and hypothyrodism, so this NC diet plan is just an excellent choice for me. So far, I have noticed: 1. no drop in energy levels 2. no fuzzy afternoon sleepiness, that must have been a carb thing 3. sharp mindset, but also a bit cranky – I was a big sugar junkie so that may be it 4. most or all cravings seem to have disappeared with the exception of missing dark chocolate 5. hunger has taken a nosedive. But please can you tell me, why am I not losing weight? I would like to drop 10 lbs to be optimal. And since being celiac puts me at a higher risk of osteoporosis, I am concerned about bone density moving forward, can you advise on this? I feel fine, I believe this dietary lifestyle has huge merits, although it is hard not to listen to the terror in the back of my head coming from decades of people saying no plants = cancer and other terrible things. I am still taking calcium and other vitamin supplements, I use heavy cream in my tea with a touch of honey – is that what is messing me up? Would someone with osteoporosis benefit from the carnivore diet as far as the condition itself? I understand d3, k2, mag, etc. are all critical in proper calcium, but this diet does not seem to provide enough calcium itself, or am I mistaken? I love your humor – thanks for bringing your levity along with your intelligent questions to Healing Gourmet. You are on the right track here. Our oceans have become increasingly polluted, making fish a potentially dangerous source of many harmful substances (PCBs, hot particles, mercury, etc). Sticking with smaller fish is a great first step. Their shorter life cycle and non-predatory nature make them naturally lower in said contaminants. Also, purchasing from a reputable company – like Vital Choice – which tests their fish is also important. Packaging, also as you note, is an important consideration. For example, BPA or BPS-lined cans that typically are used for sardines, mackerel, etc. In the case of plastic (which I vehemently limit), I believe flash-frozen fish poses less of an issue as the process is done without heat (as compared to say, a ready-pack soup where the soup is cooked and placed in the plastic packaging). Histamines are another topic, and one with which I am quite familiar. My genetics show I am less tolerant of histamines/poor at clearing them. The result for people like me (and possibly you, since you mention this), is that out “histamine bucket” gets filled and we develop an array of symptoms. Check out Debbie Moon’s info on histamines at Genetic Lifehacks – she’s incredible! Along that same vein, histamines increase over time in foods. So, for example, if you leave a steak to marinate in the fridge overnight it will contain more histamines than if you cooked it fresh. Since freezing arrests development of histamines, purchasing flash frozen meats is one way to potentially reduce these compounds in your dinner. Similarly, eating the meal you prepare in one sitting – and avoiding leftovers (or freezing them, per the logic above) – can help reduce these potentially pesky substances. We live in a world where we simultaneously are exposed to more potentially-harmful substances… and we have a lot more information available about our own personal sensitivities due to genetics, microbiome, etc. I think it is important to strike a healthy balance by identifying and avoiding those things that are most problematic for YOU as an individual. It might be histamines due to your genetics or unhealthy microbiome… it could be mercury due to the MTHFR gene mutation, etc! I hope this helps and thanks again for your great questions! Too much weight losing: im about 5ft 10.5 age 75 have fibro, br fog,, cfs, mcs, hearing sensitivity, probably out of wack autonomic nervous system PN IBS was about 180 lbs but gradually gone down weight last 5 years first low fodmap for too long about 2 yrs, then last 1.5 yrs IMF myto plan form of ketosis diet, and now prepping for an all carnivore but even here losing weight and cold as only eating a few easier veggies until i return to my home city in Canada in about one week where i will get preparatory blood work at least insulin resistance and glucose intolerance before to zero carbs 100% carnivore elimination challenge BUT continue to lose weight and am cold even tho here in Mexico but mainly in Feb as it is cooler now after a warm Jan – down probably to around 155 lbs and still losing and do really want to gain some lbs back. So the question is how do i stop the weight loss and reverse it on the Carnivor diet when it seems 98% r losing weight and happy about it – is the only answer eat a higher % of fat and if so how does one measureor guage if consuming sufficient FAt on this diet – same with sufficient protein which i was told to raise on keto diet to gain weight.